Lekker Cruiser Saddle Cream | Shop yours! 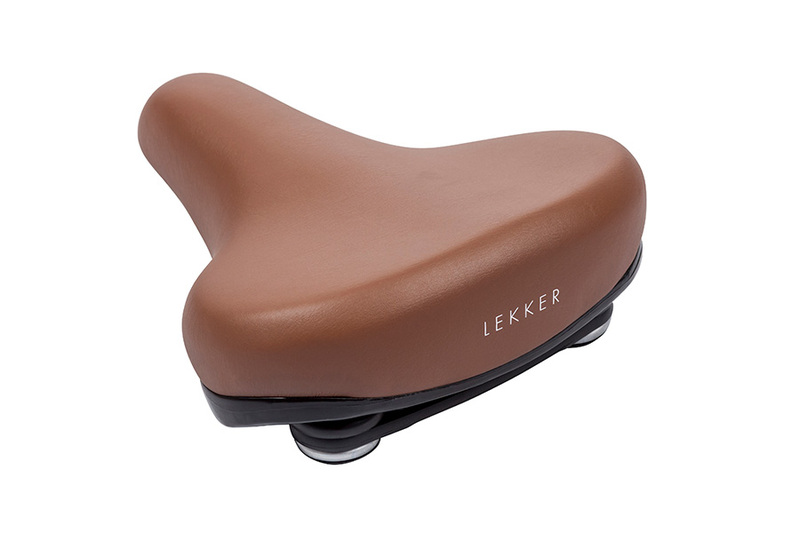 The classic Lekker Cruiser saddle is now available in two classy colors: Cream and Brown. These saddles are the perfect shape for longer commutes and carefully designed with a sit-up straight riding position in mind. Due to it’s large platform it offers maximum comfort, added with extra padding. The weatherproof vinyl and use of durable materials make this a perfect saddle for daily use.